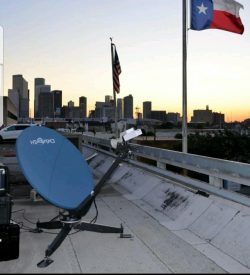 The Sat-Lite Technologies Model 2021 Agilis carbon fiber flyaway antenna offers superior performance in a lightweight, portable package. 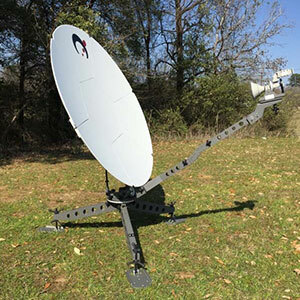 This antenna features a 7 piece carbon fiber segmented reflector designed to provide high gain and low cross pol characteristics. The custom designed elevation-over-azimuth tripod pedestal provides high stiffness with minimal weight. The antenna components are modular in design which provides options for motorization and tracking requirements. High performance molded cases are included. 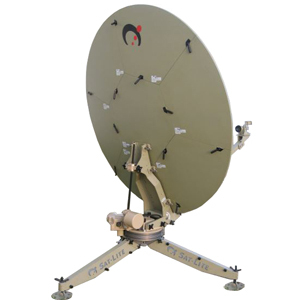 The antenna is designed to meet international performance specifications for commercial or off-the-shelf military applications and is readily available in C, X, Ku, DBS and Ka band frequencies. 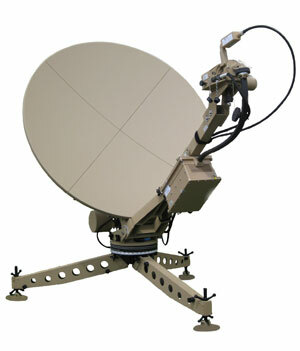 Multiple feed and integration packages are available with a quick change / quick pack configuration. The integrated boom assembly with BUC and LNB packs in a single case for quick installation. 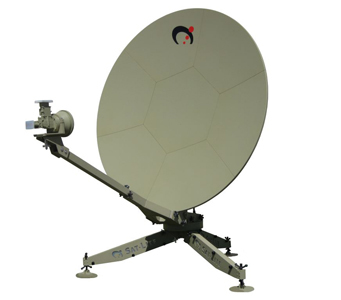 Integrated feed booms can be supplied which will allow a quick change from one frequency band to another.